Asthma is a disorder related to the respiratory system. It is not permanently curable, but its symptoms can be controlled with proper care. There are various medications that are used to treat asthma. Certain food items are also considered useful in healing asthma. 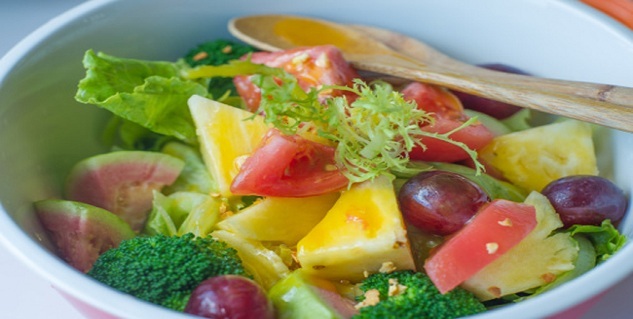 Fruits and vegetables are an ideal source of vitamins, minerals and antioxidants. Antioxidants control the action of free radicals. These free radicals are responsible for causing constriction of bronchial arteries and capillaries, thereby resulting in inflammation of lungs. This makes a person suffer from an asthma attack. Antioxidants act on free radicals and prevent narrowing of bronchial arteries. This prevents the onset of asthma. Green leafy vegetables are also very high in anti-oxidants. Incorporate a large amount of fresh and colourful fruits in your diet to avoid asthma. Fatty fish such as salmon, mackerel, tuna and nuts are the highest source of omega-3 fatty acids which are regarded as good fats. Omega-3 fatty acids improve the body’s mechanism against allergens. They help in healing the inflammation caused in the lungs due to allergic reactions. Garlic, ginger and onion have always been known for their healing properties. They boost the immune system of the body which helps to resist the attack of pathogens. They have ant-bacterial, anti-fungal, anti-parasitic and even anti-viral properties. These ingredients help to prevent cold, thereby reducing the occurrence of asthma. 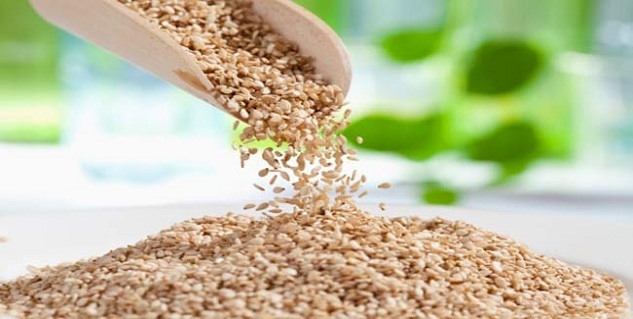 Whole grains and seeds such as sunflower seeds and flax seeds are rich in vitamin C, vitamin E, potassium, magnesium and selenium. All these nutrients have anti-asthma properties. They help in relaxing the bronchial contraction, thereby healing any respiratory disorder. Mustards are a good source of beta-carotene. It also acts on free radicals that cause blockage of air passages. They also cause breakage of histamine, an important agent causing asthma. 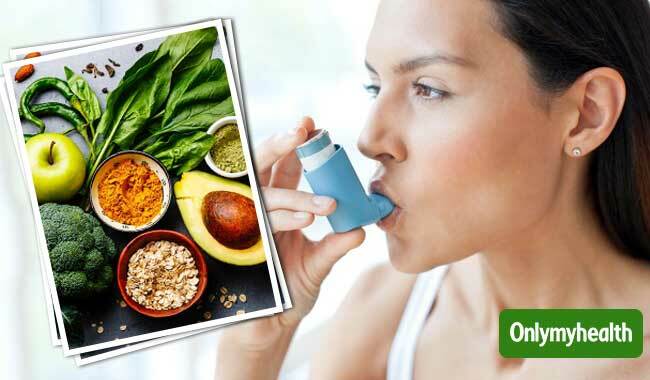 Asthma attack can be kept under control by incorporating these food items in the diet. These are good to eat and also lend beneficial effects to the body.